Fathers are an important part of children’s lives and play a crucial role in healthy child development. Our program hosts weekly father-child interaction groups, monthly dads’ workshops, and monthly outings just for fathers and kids. We work to increase fathers’ confidence, competence, and help connect them with other dads and their community. All services provided for dads are provided by dads. Through consistent funding through Children’s Trust Fund of Oregon and continuous support from volunteer fathers, our Community Dads’ Group has meeting weekly since 2009. A special thank you to Papa Murphy’s Pizza for treating our families to dinner every week. 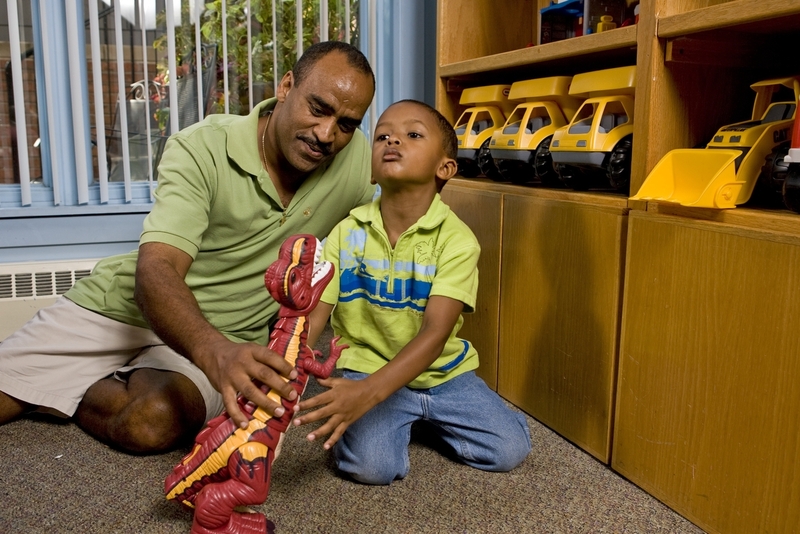 Please call our Early Childhood Fathering Project at (503) 421-0933 to learn about our range of services. Your conversation will be completely confidential. If Impact NW isn’t the best fit for you, we’ll help connect you to the services you need.